Requesting A Credit ReportEliminate The Muda! « myFico.com – You’ve got to be kidding? Due in part to my latest potentail ID theft experience, I decided it was time to review my credit report. We have had access in the past to our data via both LifeLock and IDExperts, two credit protection programs we use. Assuming you may not have these services, I thought it would enlightening to use www.annualcreditreport.com as a learning experience to share with readers. Honestly, I should not see anything surprising. We have not applied for any new credit since moving into our current house nearly 3 years ago. The process was straightforward but did require information we are always told not to divulge such as Social Security number, address and date of birth. It only took a few minutes to complete the information requested. Once done you are provided the opportunity to select a copy of your credit report from any of the 3 credit reporting agencies including Trransunion, Equifax and Experian. Everyone is allowed to pull one credit report from each reporting agency. Depending on the state you live in you may also be eligible to a second copy each year. Of course everyone is trying to maximize their revenue and Transunion attempted to sell a Debt Analysis for $5.95 and a Credit Score & Debt Analysis for $7.95. Lucky them I decided to bite just to see what they had in comparison to a real FICO score. Providing an email address TransUnion offered to notify me of the next free credit report available in addition to newsletters and “special offers” from TrueCredit and marketing partners. Once I had bought in to the extras and given my email for all their spam I had a simple page pop up that stated due to extra security concerns they could not complete my request. There goes their $7.95 and here came my frustration. 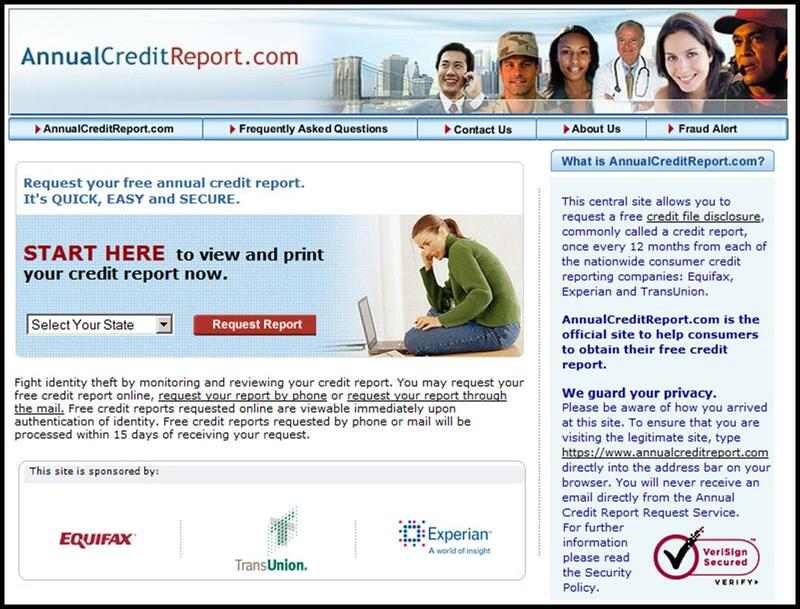 They redirected me back to www.annualcreditreport.com to submit my request via phone or email. Next I tried the phone system. The system is automated and working 24/7. As it turns out it was a waste of my time. The automated phone system, which is slower than entering data on a website, asked for the exact same information! There was no warning of additional security measures, simply a statement that my report would be received in the 15 days. Is there a better example of Muda? Having to enter the exact same data twice, being forced to wait 15 extra days, a process that requires a printed document when a screen print would suffice? Since I now have to wait for the printed document to arrive, I will follow up in a couple weeks with a post regarding what if anything I discovered. While it didn’t quite work out the way I wanted it to, this doesn’t mean you shouldn’t try. If you have not reviewed your credit report in the past year go to www.annualcreditreport.com now! You have the option of pulling all three reports at once. Because I have been hit twice in two years with attempted ID theft I am electing to pull only one report now, in 4 months I will pull another, and then 8 months down the road I will pull the third. This way, just in case something occurs I should be able to catch it fairly quickly. It only takes a few minutes, it’s worth the effort, go for it!